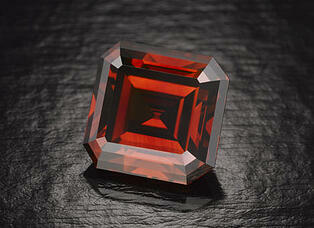 The largest known red diamond is an eye catching 5.11 carats. But most extant reds are under a carat— and even then you can expect to pay around $450,000 per carat for a Fancy Red with an SI1 clarity. These stones are generally beyond the reach of the average celebrity or diamondista, and reside almost exclusively in the collections of those seeking alternative investments, aficionados or collectors, and the very top end of jewelers worldwide. This triangular brilliant cut, Fancy Red diamond weighs in at 5.11 carats and is officially considered by the GIA to be the largest red diamond currently in existence. 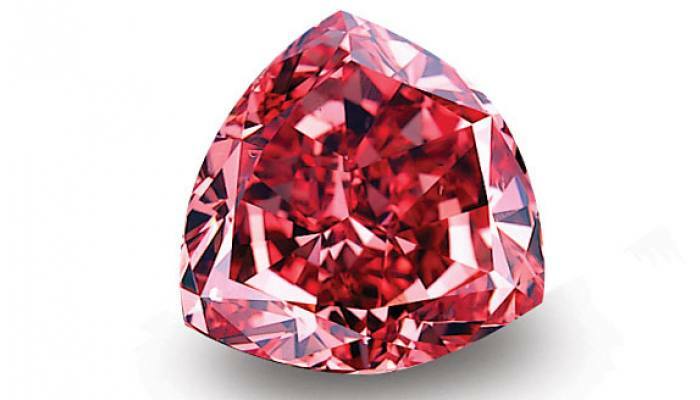 Due to its appearance the stone was initially called the "Red Shield" until it was bought by the famous jeweler Sholmo Moussaieff for $8 million (or $1.6 million per carat) during the early 2000's. The Moussaieff Red diamond is truly an excellent example showing that the value of a colored diamond is derived from multiple factors, not just the carat weight of the stone. While the diamond may be far smaller than other famous diamonds, its color and the rarity derived from its brilliance makes it one of the most valuable fancy colored diamonds currently on display. Depending on who you believe, this 5.03 carat round Reddish Brown stone was either languishing as the ornament on a hat pin at a flea market, or as part of a collection of estate jewelry acquired by S. Sydney De Young, a Boston jeweler. 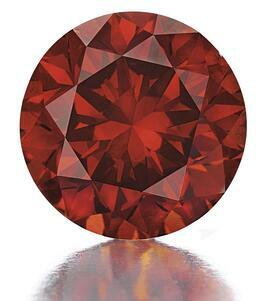 Initially misidentified as a garnet, it currently resides in the collection of the Smithsonian's National Museum of Natural History in Washington D.C. The pear cut, 5.71 carat, Fancy Red Brown stone has disappeared from public view into the hands of a secretive private investor or investment group in Hong Kong. There are no known photos of this stone, making it a “lost stone” even though it has been well documented to exist. Not much else is known about the diamond, and without further examination it can only be considered the largest red diamond in the world "unofficially." At the time of its last sale, the Brazilian-origin, .95 carat round cut, Purplish Red diamond sold for the equivalent of $926,000 per carat, beating its presale estimate times eight. For a stone purchased in 1956 for $13,500 this was an astounding feat and is credited with sparking interest in fancy colored diamonds that are so sought after today. Unearthed in Lichtenburg, South Africa nearly 100 years ago (mid 1920's,) the stone has a very interesting past. The diamond started out as a 35 carat black bort sold for only £8 per carat. Once the stone started being processed by the Gaudvis Brothers in Amsterdam, it started changing color (illustrating a brown hue). Curious, the brothers continued cutting the stone, transforming it into the 5.05 carat masterpiece it is today. Despite its beauty, the stone was often overlooked, being considered a ruby rather than a diamond. To make matters worse, it was seized by the Nazis in World War II and sent to Germany where it was found hidden in a salt mine. After the war, it was sold twice, and then vanished from the public eye for almost 40 years. The ruby red diamond was eventually bought by the Kazanjian Brothers in 2007, who also gave it its current name. Despite its tragic past, this precious stone now has a noble role; often displayed alongside other famous gems and jewelry (such as in the Morgan Memorial Hall of Gems in the American Museum of Natural History,) the company utilizes its brilliance to promote and raise money for various charities, some of which being related with underprivileged youth and disadvantaged children. 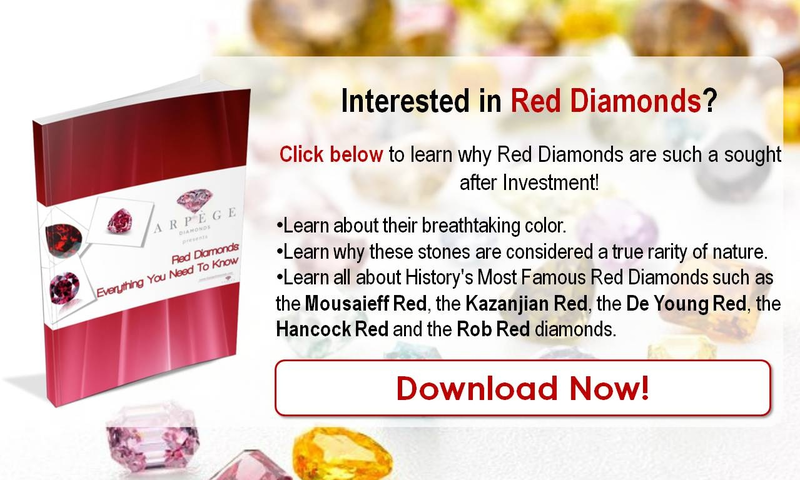 If you’re looking to invest in rare red diamonds, or other fancy colored diamonds, you’re not alone. These stones are preferred by those seeking alternative investments who have come to regard with roller-coaster world of “traditional” investments with a jaded eye. After all, diamonds are portable, tangible wealth, and one doesn’t have to worry about them cooking the books, running afoul of regulatory authorities, or other scams and scandals that periodically rock the world of traditional investments. Investors from Asia, Europe, and America snap them up at auction with a zeal previously reserved for major works of art. If you haven't heard by now, the latest 2017 Argyle Tender was headlined by 5 beautiful stones, two of which were Fancy Red colored diamonds. Click here to read more about this exclusive event. Check out the video below for a preview to these diamonds. Last year's Argyle Tender managed to exceed even that of 2017, marking it as the most successful in the company's history. 2018 was another remarkable year, presenting Hero Diamonds that "wowed" the world. 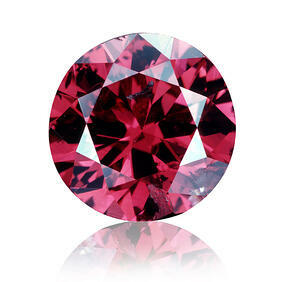 Among these was the Argyle Muse; a 2.28 carat, SI1, oval cut, Fancy Purplish Red. 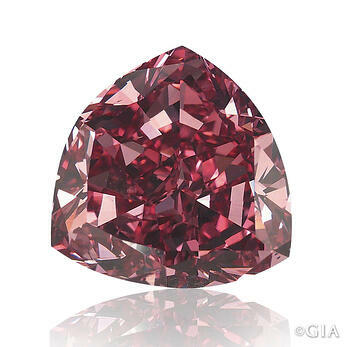 Apart from being extremely rare due to it's color combination, the Argyle Muse is also the largest and only Fancy Purplish Red over 2 carats to have ever been offered during the Tender's history. But What About a Natural Red Diamond's Price? It goes without saying that the rarest diamond color in the world would be accompanied with some substantial price tags. Currently the red diamond price per carat can range between $900,000 and in the case of larger, pure stones, it can exceed $3 million. Finally, taking into consideration the imminent closure of the Argyle Mine, these values might even see a substantial increase. 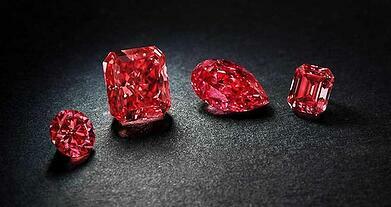 For more in-depth coverage on these stones, make sure you check out our tribute to red diamonds. Which Colored Diamonds Should I Invest In?